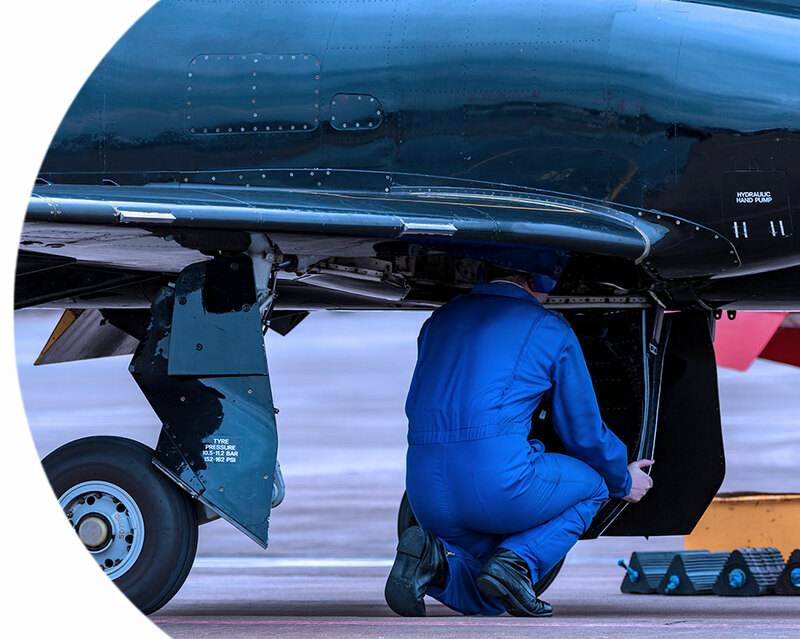 The AS9110 standard defines the requirements for a quality management system (QMS) for organizations whose primary business is providing maintenance repair, and overhaul services in the aircraft industry. AS9110 is based on AS9100 and adds specific requirements for the maintenance and repair of commercial, private, and military aircrafts. This is considered a supplement to FAA Part 145 for those repair stations that have customer requirements for AS certification. SimpleQuE believes in a simple, customized approach to prepare you for AS9110 certification. Beginning with a gap analysis, then defining an action plan to prepare you for certification, and more importantly, a maintainable management system. Achieving certification is an important step for repair stations and maintenance organizations, as it emphasizes airworthiness while proving a dedication to quality and customers. Whether you have a management system in place or are just developing one, understanding the requirements and having an experienced consultant by your side is key. Our team members have 3rd party auditing experience, repair station and maintenance related work experience, and first-hand knowledge of what is required to pass a certification assessment. We have helped 2.6% of all the AS9110 certified companies in the US. Let simpleQuE put you on track for certification. Sometimes companies are certified but struggle to maintain and improve their AS9110 quality management system, or just need to update the knowledge and skills of the maintenance and quality team. SimpleQuE can help with customized training, resources and continuous improvement initiatives. In addition, outsourcing internal audits provides a fresh perspective that not only gives opportunities for improvement, but also meet the standard’s requirements and prepares an organization for annual 3rd party surveillance audits. The experts at simpleQuE can keep you on track.